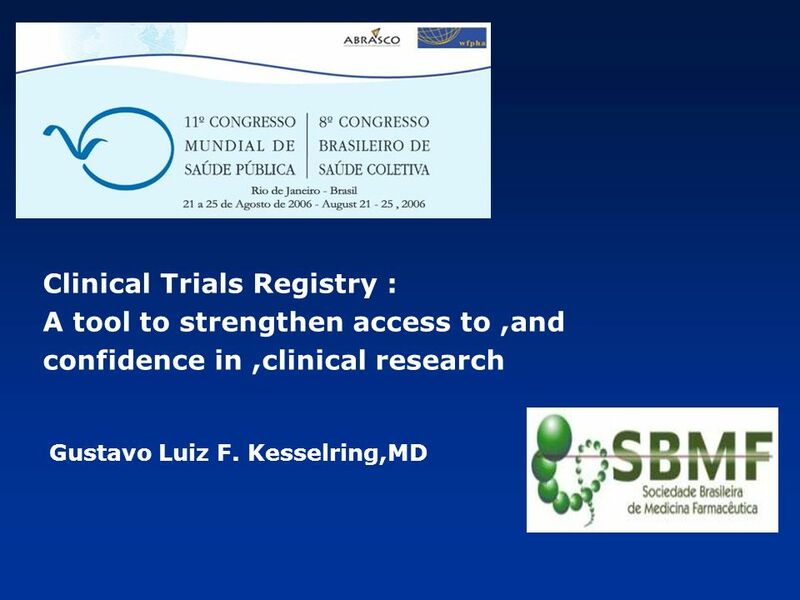 Clinical Trials Registry : A tool to strengthen access to,and confidence in,clinical research Gustavo Luiz F. Kesselring,MD. 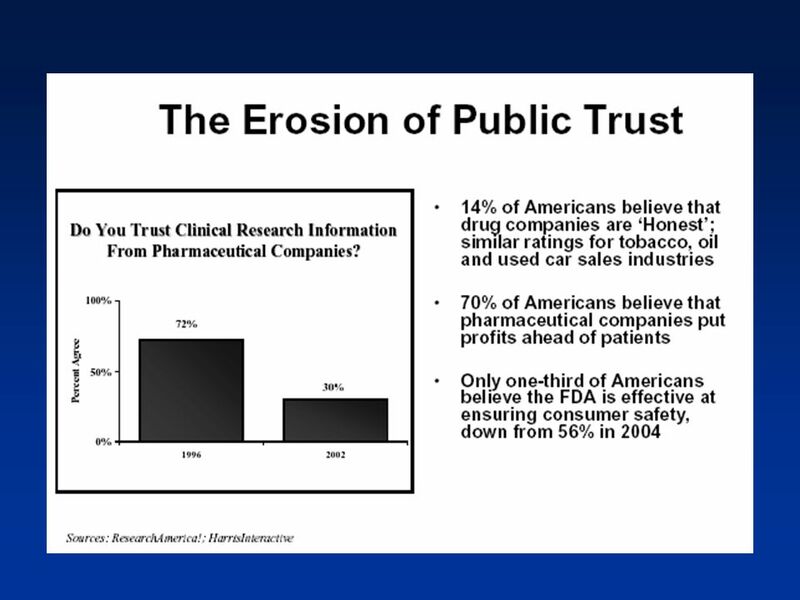 6 WHY MOST PUBLISHED RESEARCH FINDINGS ARE FALSE. 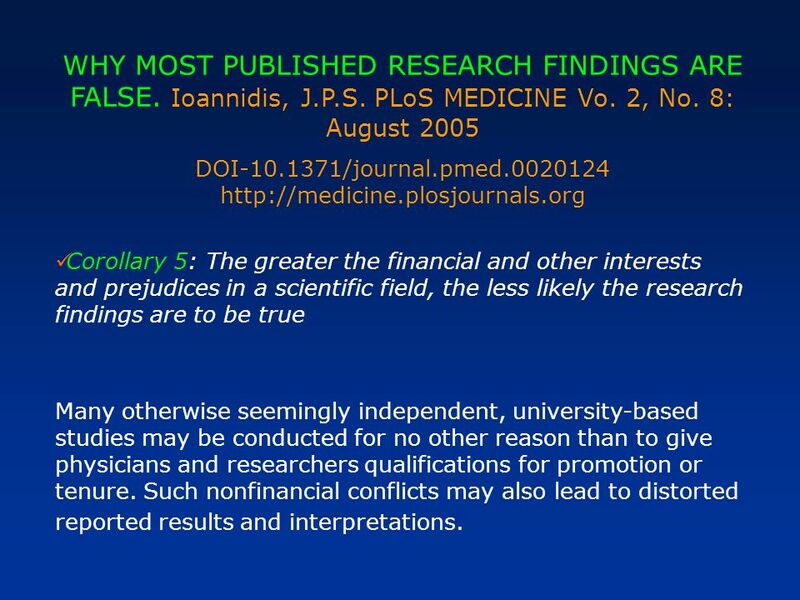 Ioannidis, J.P.S. 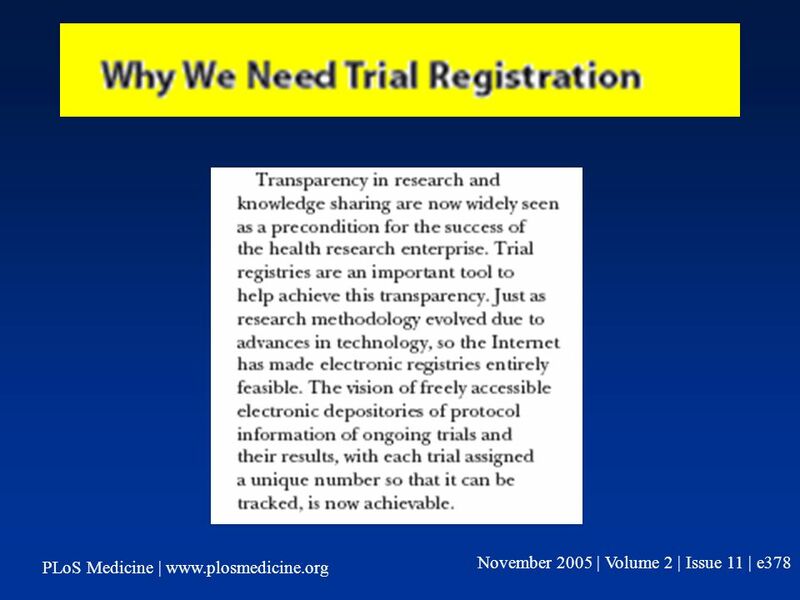 PLoS MEDICINE Vo. 2, No. 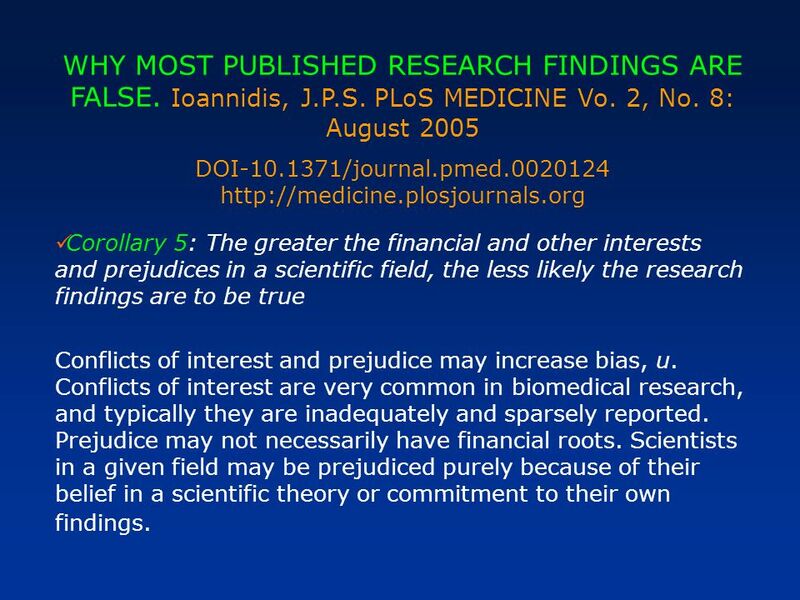 8: August 2005 DOI-10.1371/journal.pmed.0020124 http://medicine.plosjournals.org Corollary 5: The greater the financial and other interests and prejudices in a scientific field, the less likely the research findings are to be true Conflicts of interest and prejudice may increase bias, u. 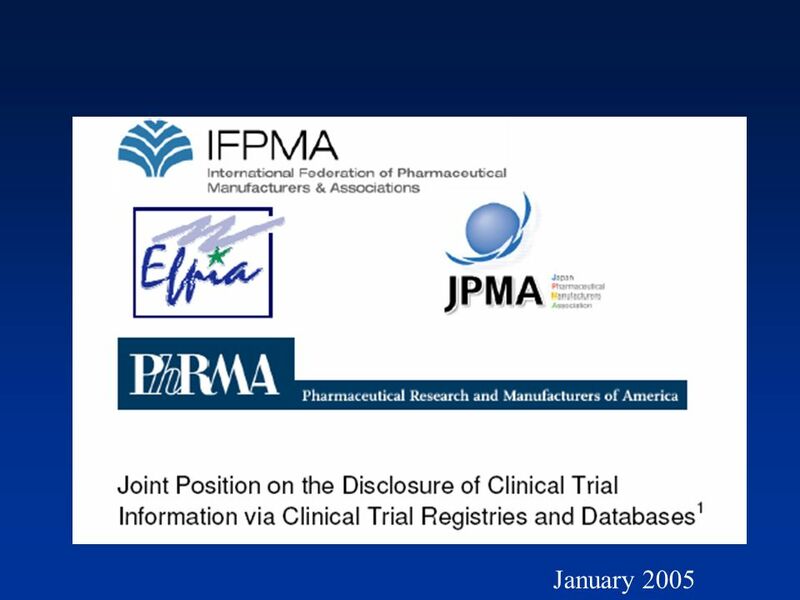 Conflicts of interest are very common in biomedical research, and typically they are inadequately and sparsely reported. Prejudice may not necessarily have financial roots. Scientists in a given field may be prejudiced purely because of their belief in a scientific theory or commitment to their own findings. 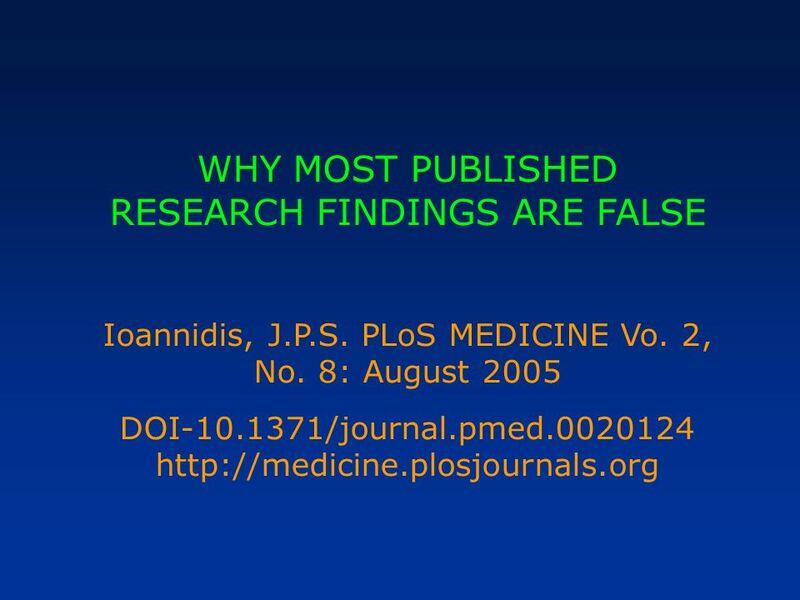 7 WHY MOST PUBLISHED RESEARCH FINDINGS ARE FALSE. 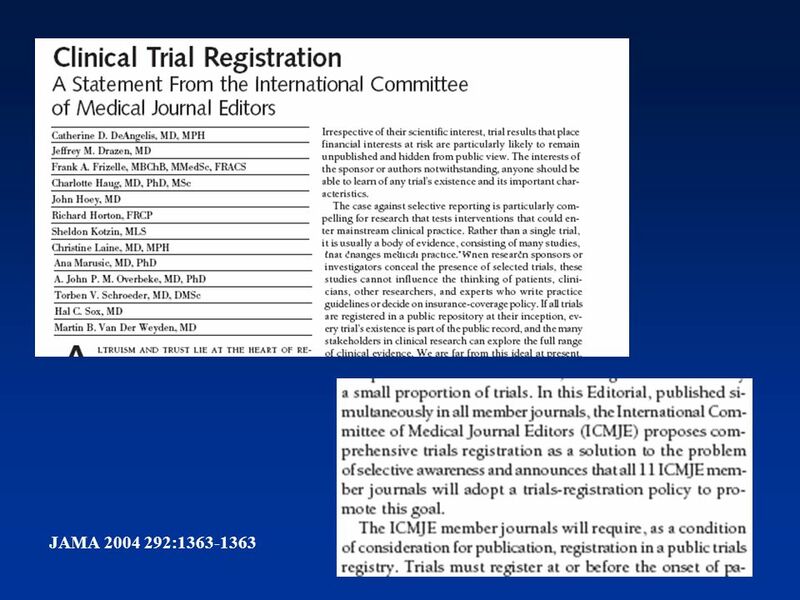 Ioannidis, J.P.S. PLoS MEDICINE Vo. 2, No. 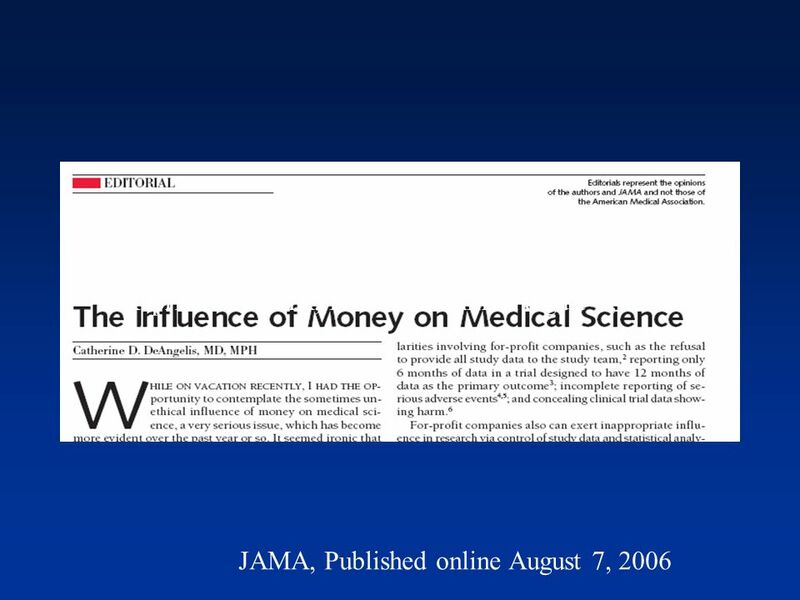 8: August 2005 DOI-10.1371/journal.pmed.0020124 http://medicine.plosjournals.org Corollary 5: The greater the financial and other interests and prejudices in a scientific field, the less likely the research findings are to be true Many otherwise seemingly independent, university-based studies may be conducted for no other reason than to give physicians and researchers qualifications for promotion or tenure. 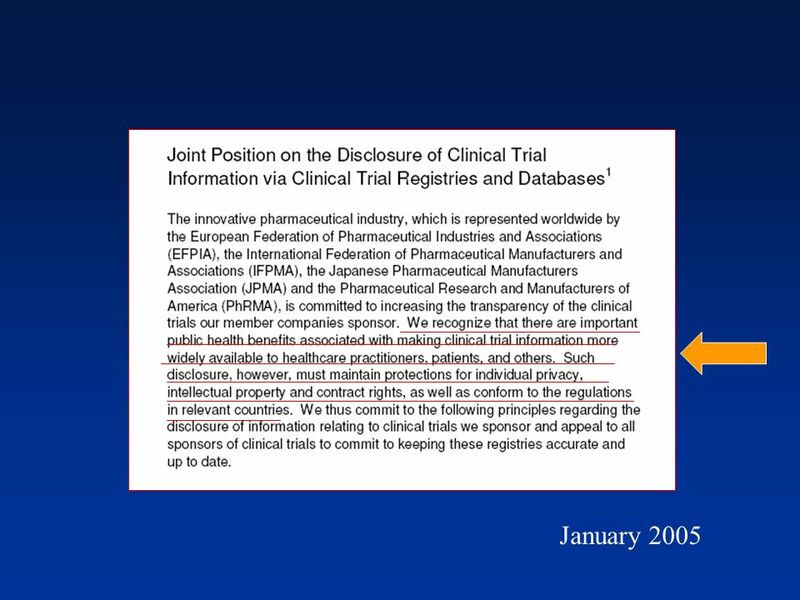 Such nonfinancial conflicts may also lead to distorted reported results and interpretations. 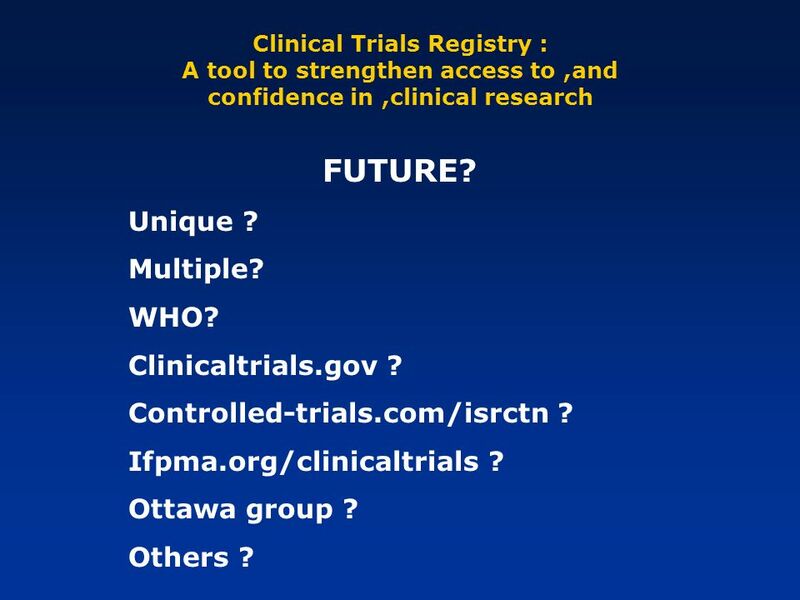 20 Clinical Trials Registry : A tool to strengthen access to,and confidence in,clinical research FUTURE? Unique ? Multiple? WHO? 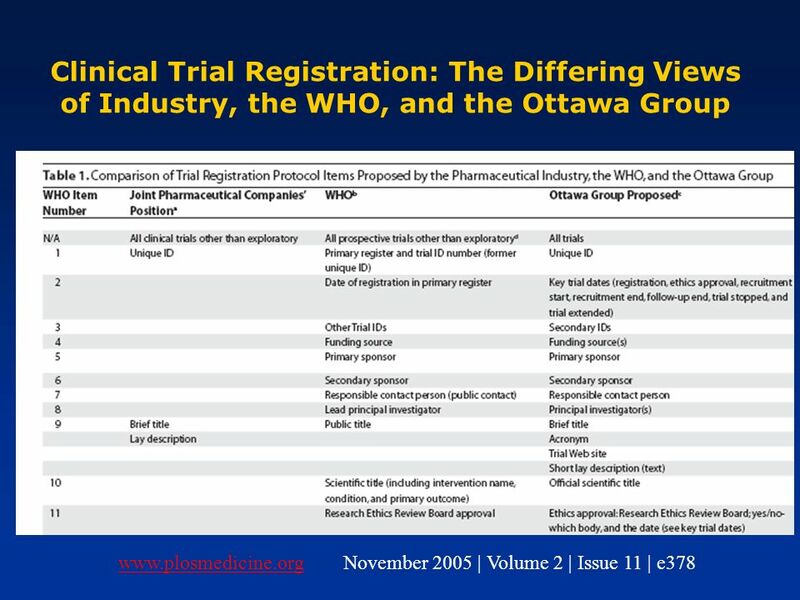 Clinicaltrials.gov ? 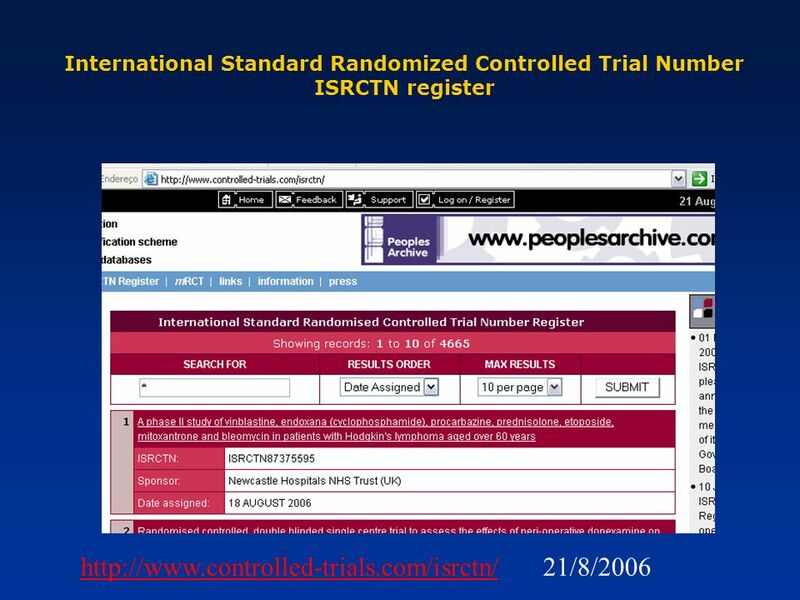 Controlled-trials.com/isrctn ? 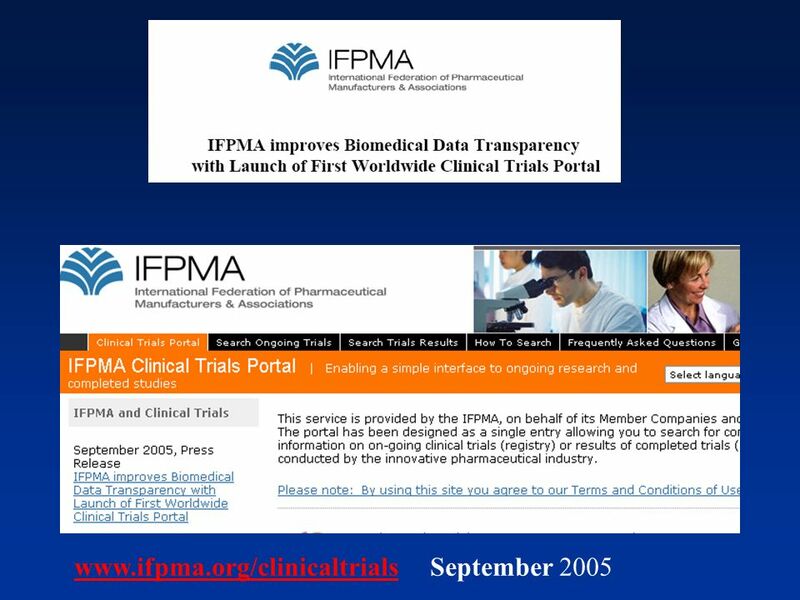 Ifpma.org/clinicaltrials ? Ottawa group ? Others ?. 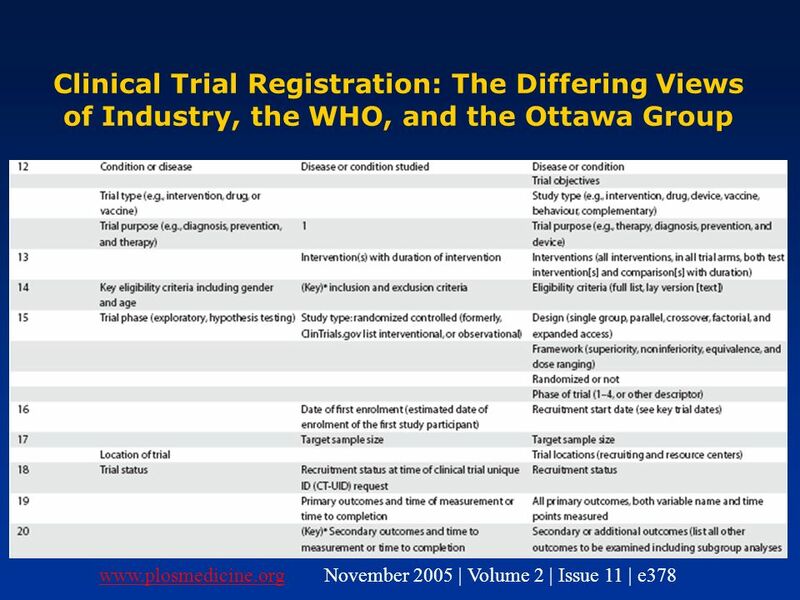 Download ppt "Clinical Trials Registry : A tool to strengthen access to,and confidence in,clinical research Gustavo Luiz F. 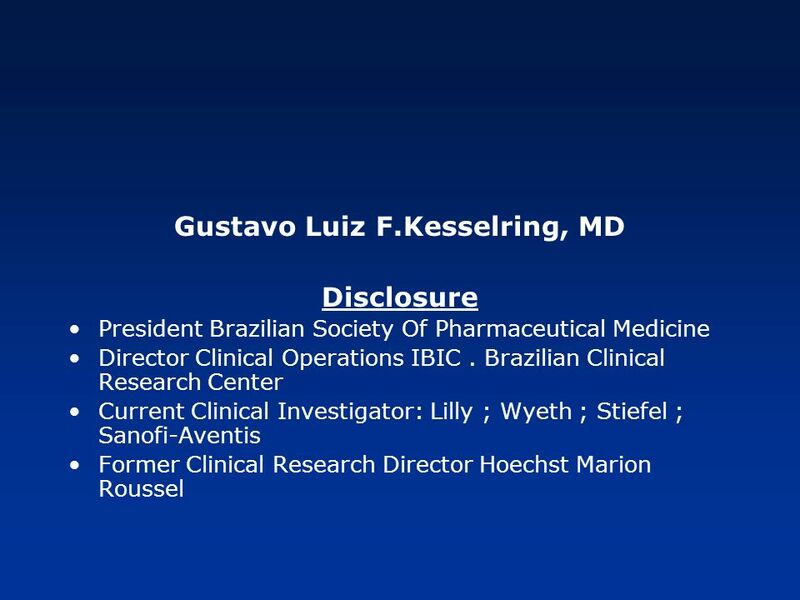 Kesselring,MD." 1 Our results: actuarial trends In conjunction with the annual renewal of the self-insurance status, the District contracts with an actuary to conduct. Global Forum on Bioethics in Research International Research Ethics Training Program Directors Network Meeting Bethesda, USA, October, 16-17, 2007 Sandra. E. GefenasGlobal Forum 8, June, 2007, Vilnius Regional Perspective to Keynote Challenges - Europe. 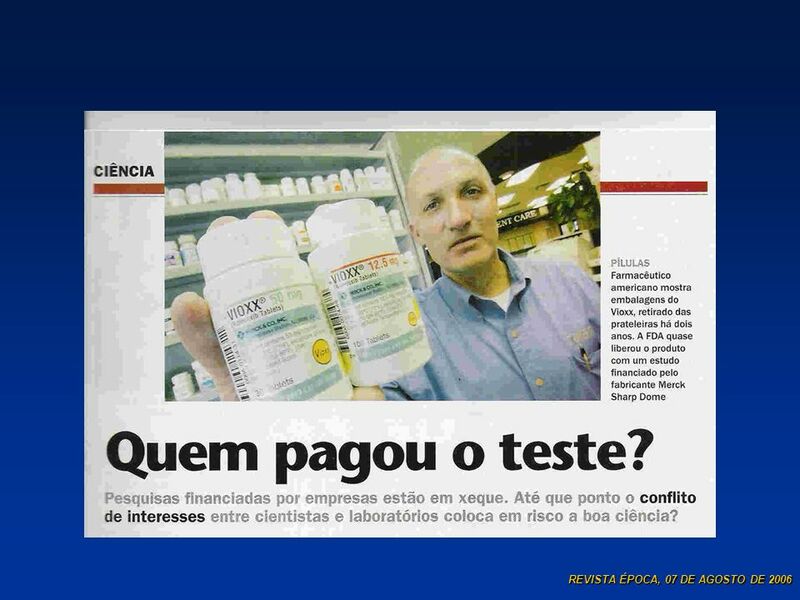 John C. Witwer RN, MSN. State 4 Model Components – Describe elements of SCE construction Understand Unique Applications – Interpret component application. Multiple CrossRef Chuck Koscher Director of Technology Handle System Workshop 21 June 2007 Washington, DC. Graduation Action Plan 11th Grade Career/College Planning Unit Module Three: Necessary Steps. 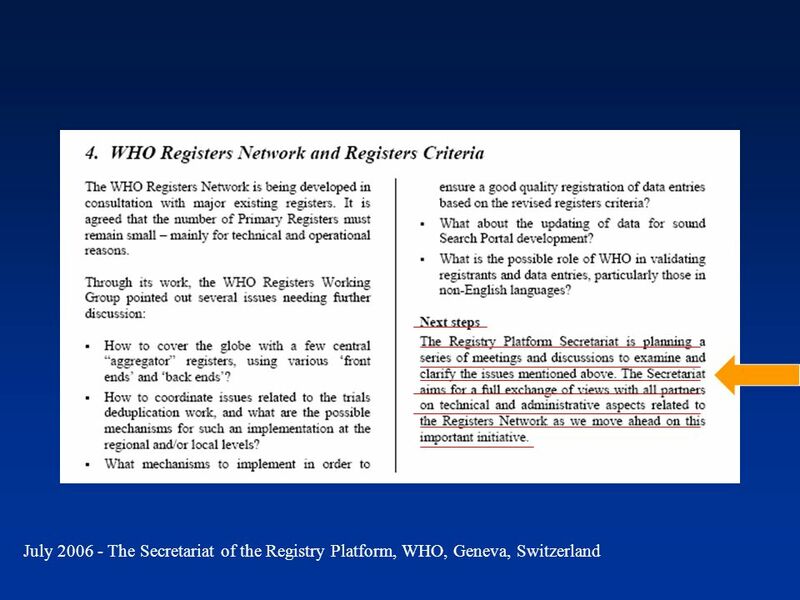 1 OECDs StatLinks Using DOIs to link to Statistical Data. 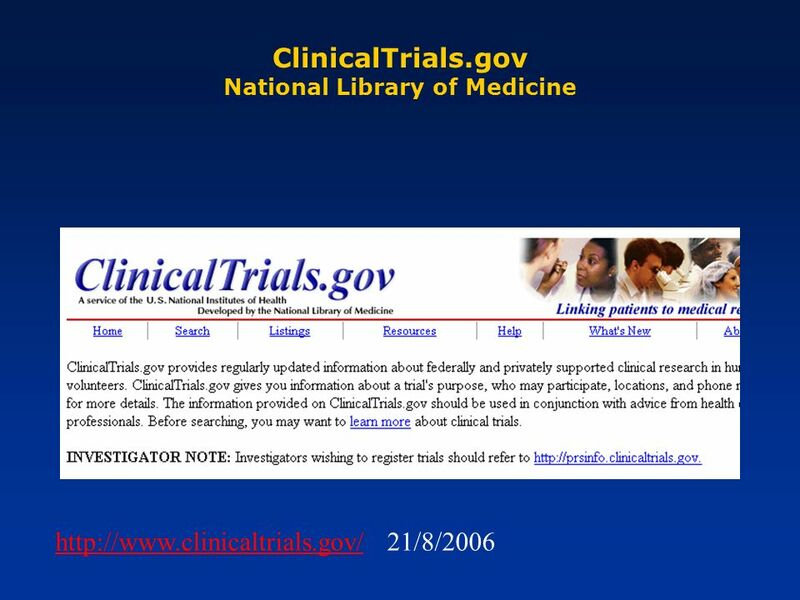 Metadata-based analysis to improve clinical trial exchange Daniela Luzi*, Fabrizio L. Ricci *, Luca Dan Serbanati# *National Research Council - Institute. 1 HAI conference Medicines for Europe and the World Setting priorities: missing the point A rational medicines policy for Europe A rational. 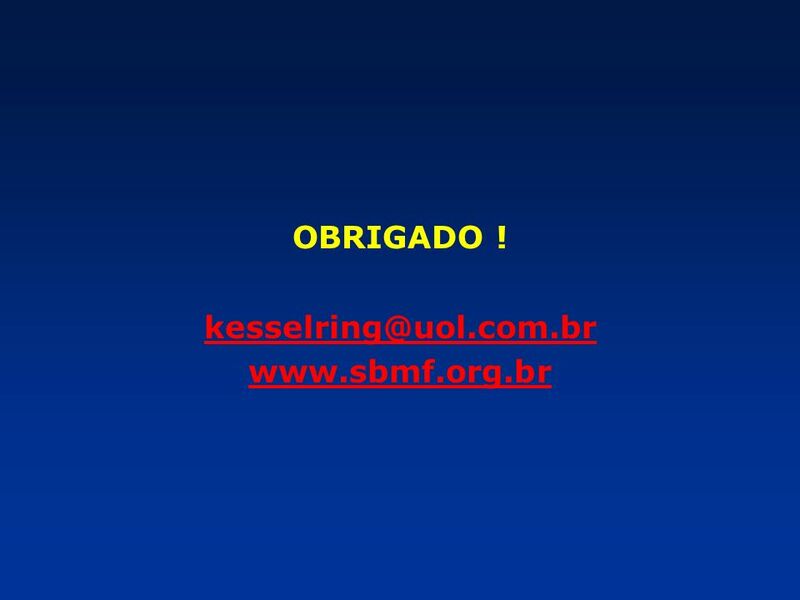 CrossRef Forward Linking: Adding Value to Content The vast majority of scholarly journals are now online, and there have been a number of studies of what. ICCS National Gallery of Art – Washington : compact and pure design. 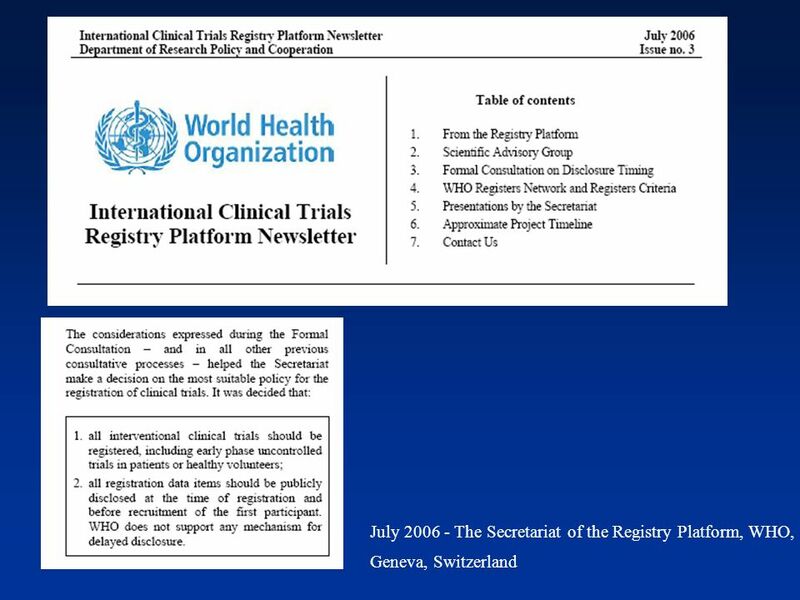 GEO-4 Actions and Timetable Helen Wood Secretariat Director April 2004 GEO Co-Chairs.